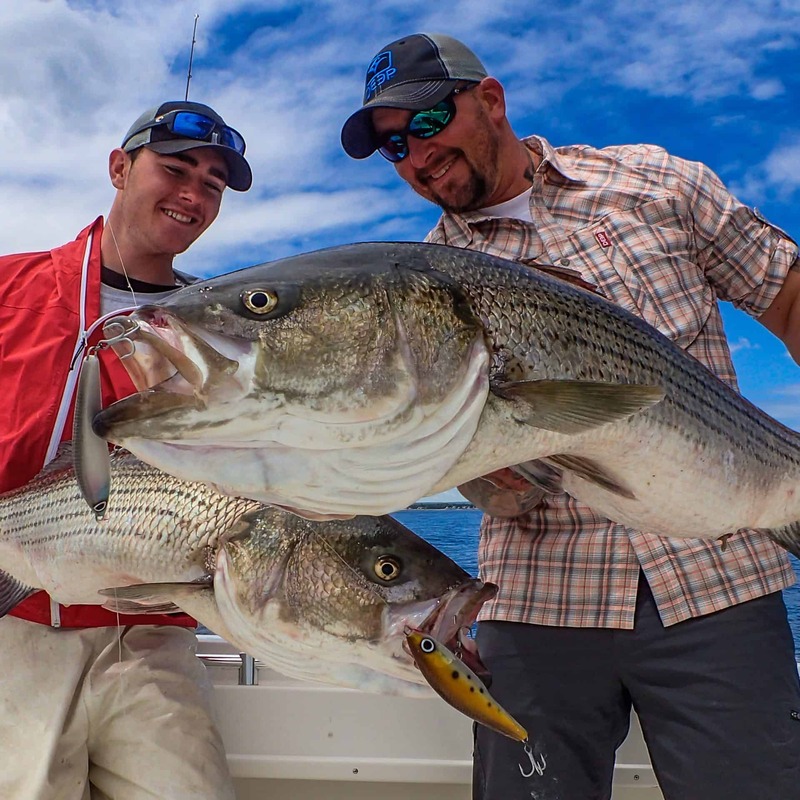 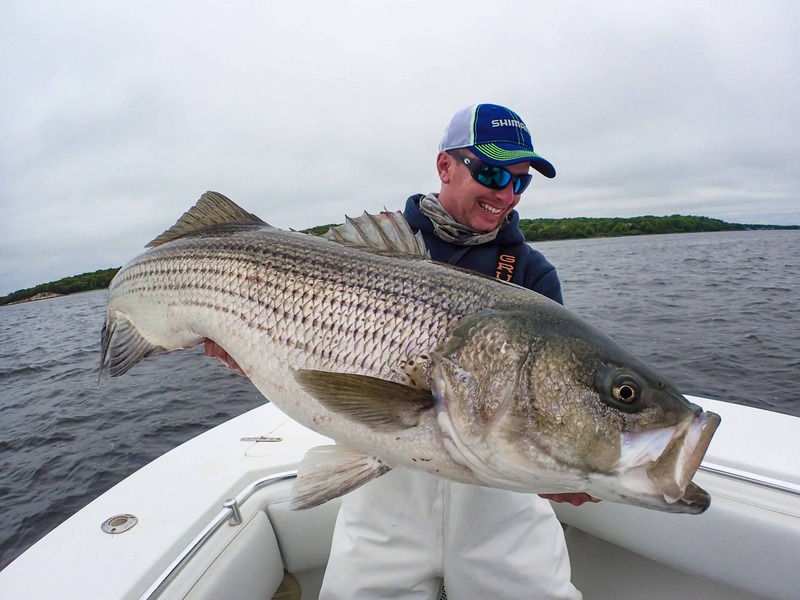 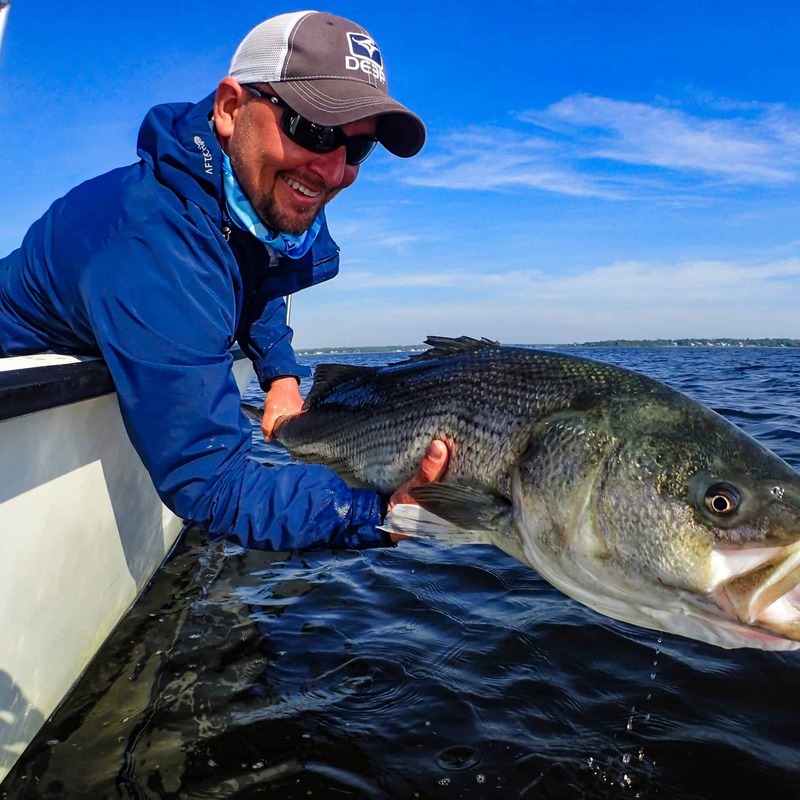 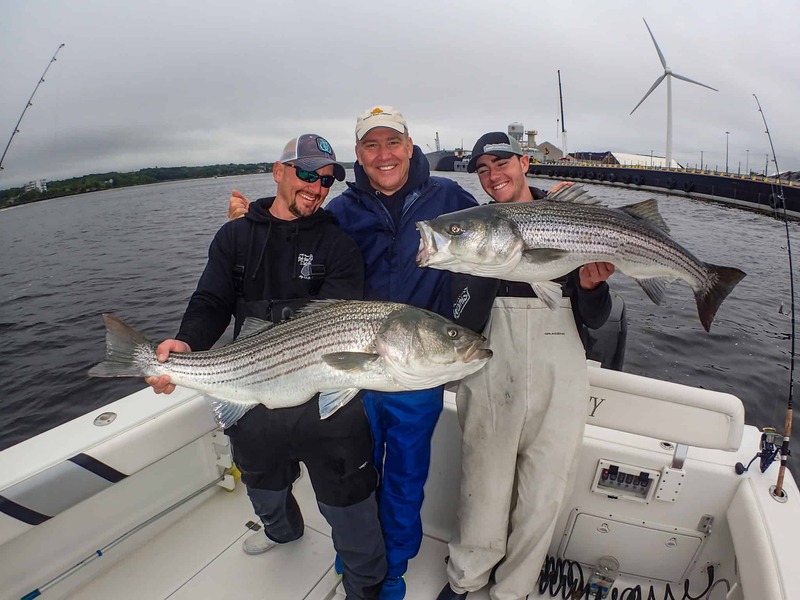 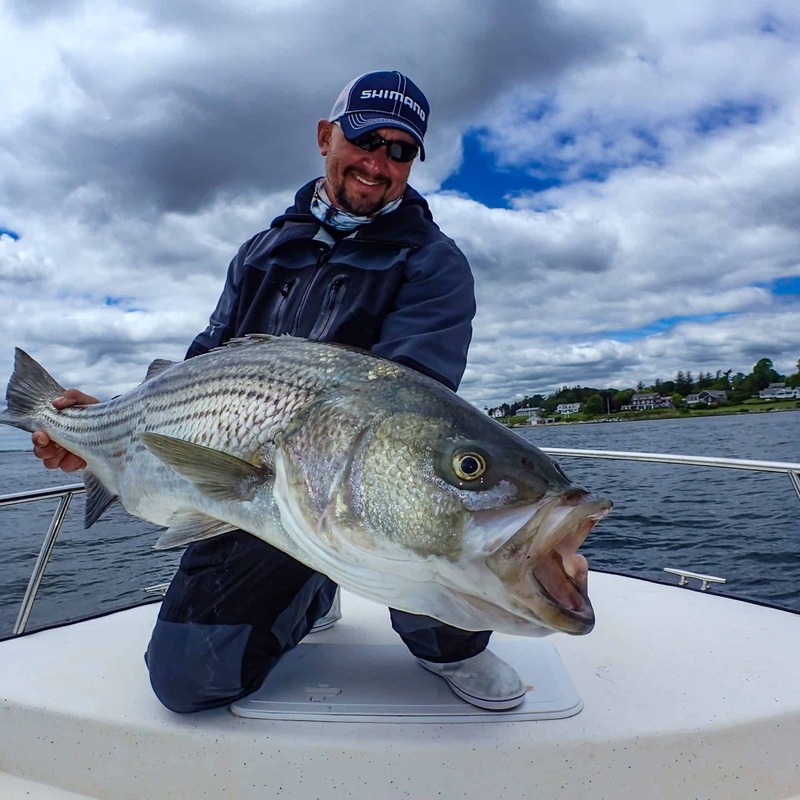 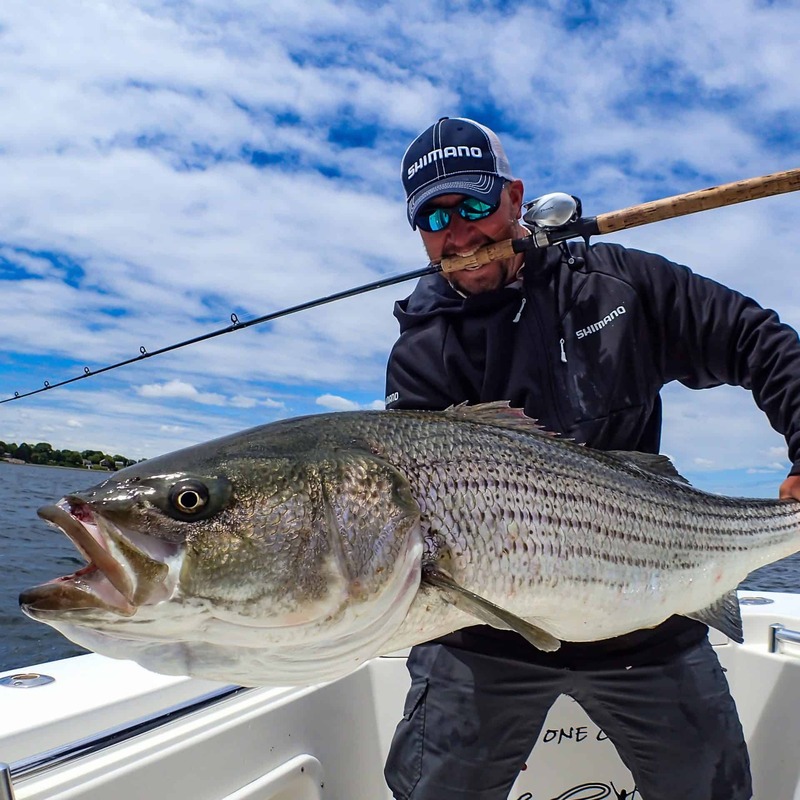 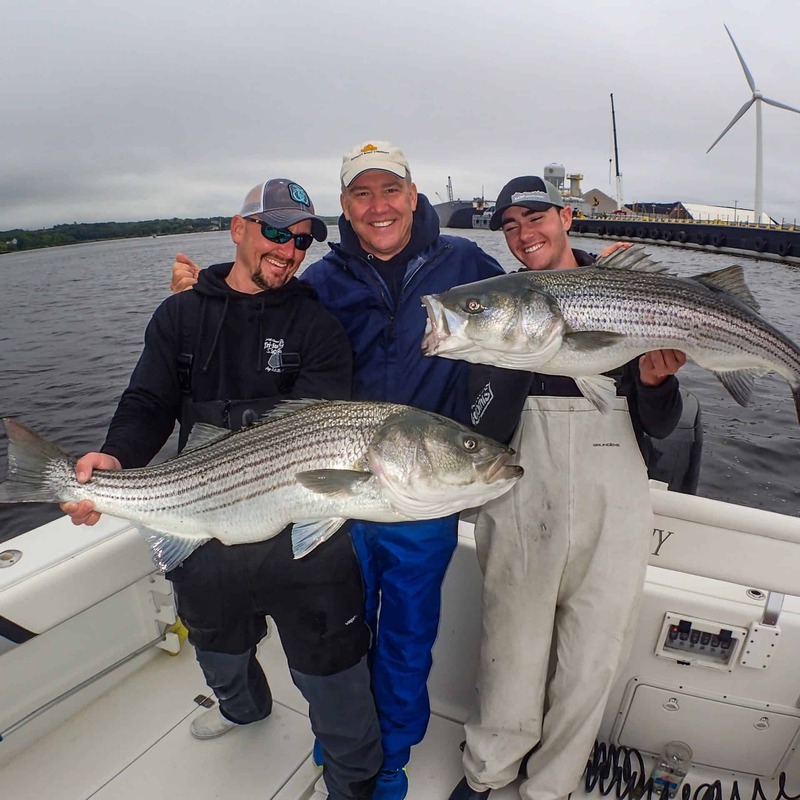 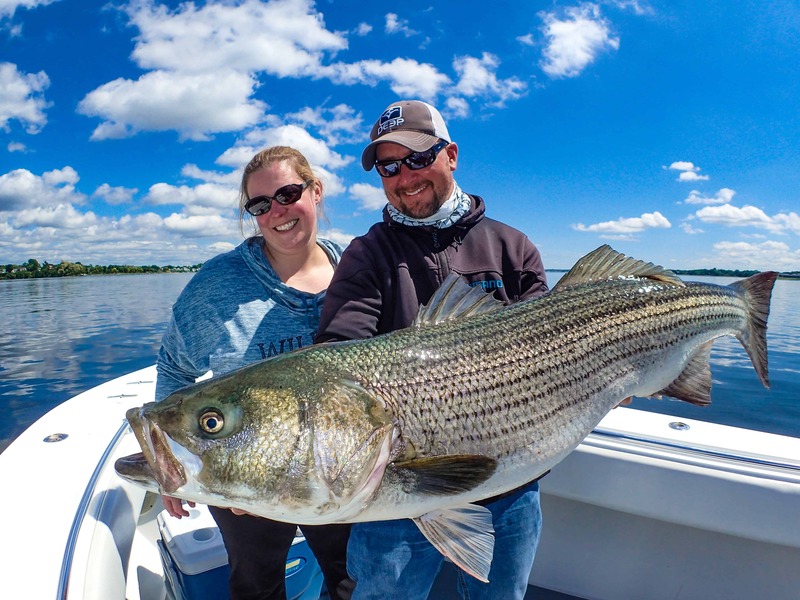 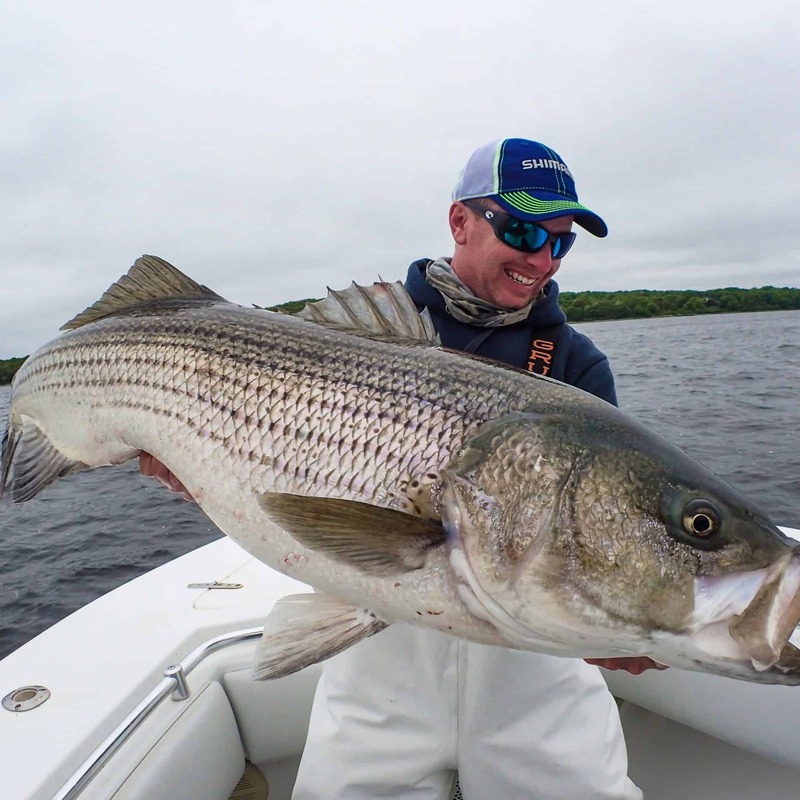 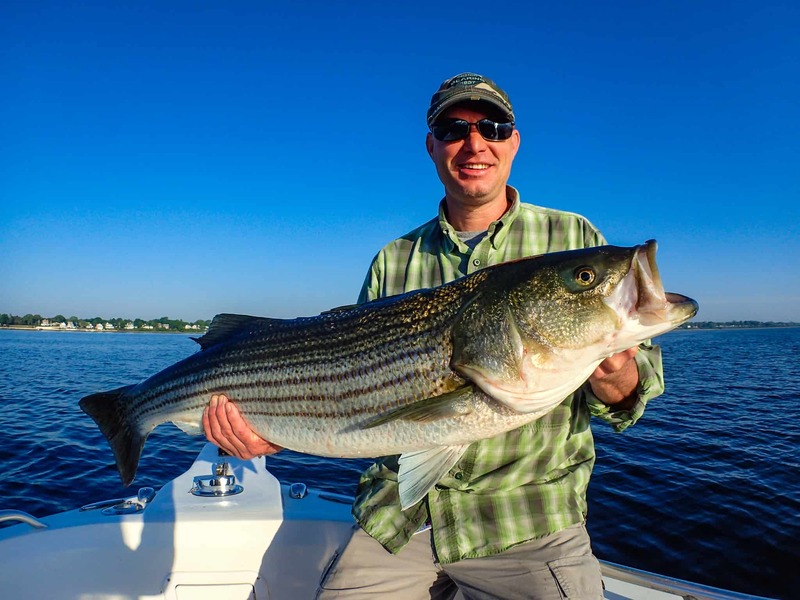 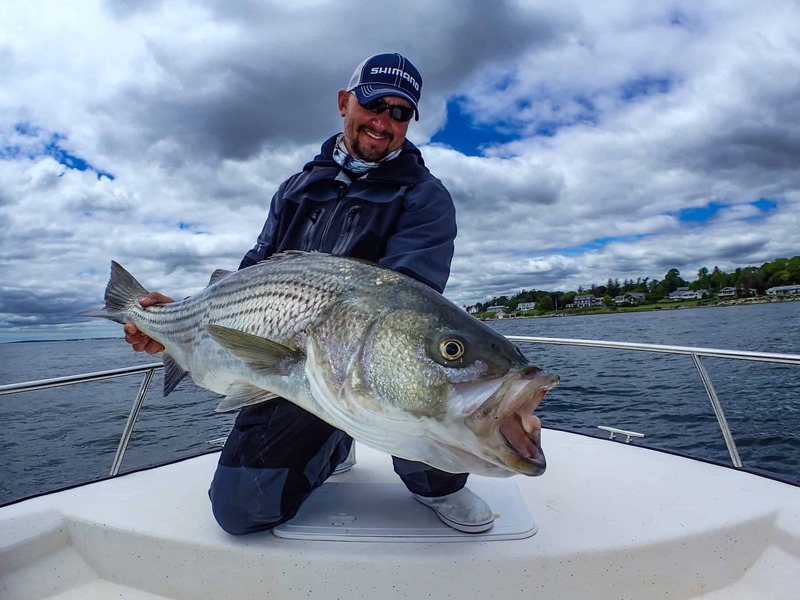 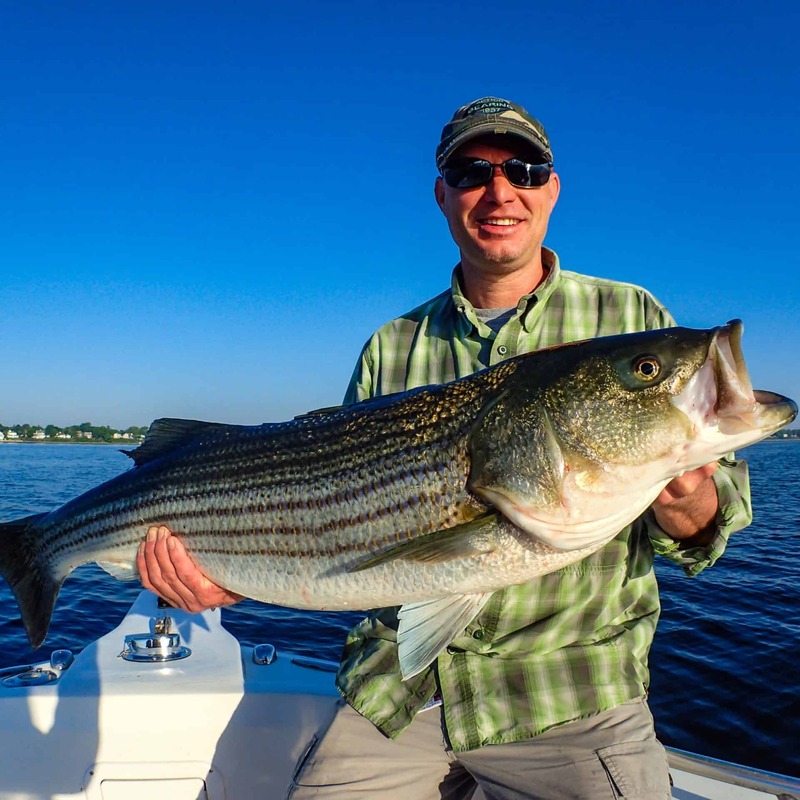 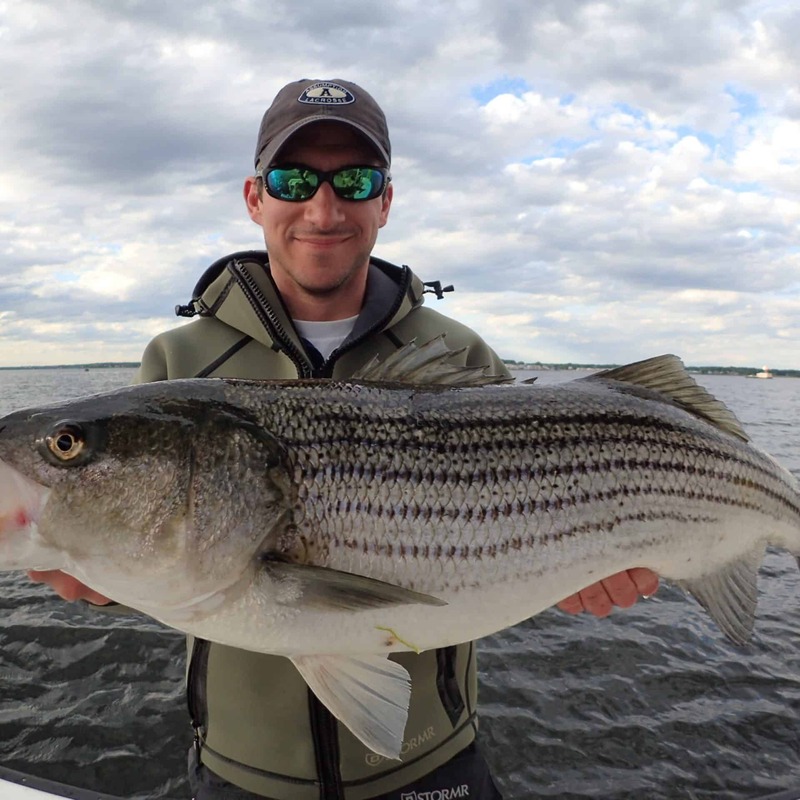 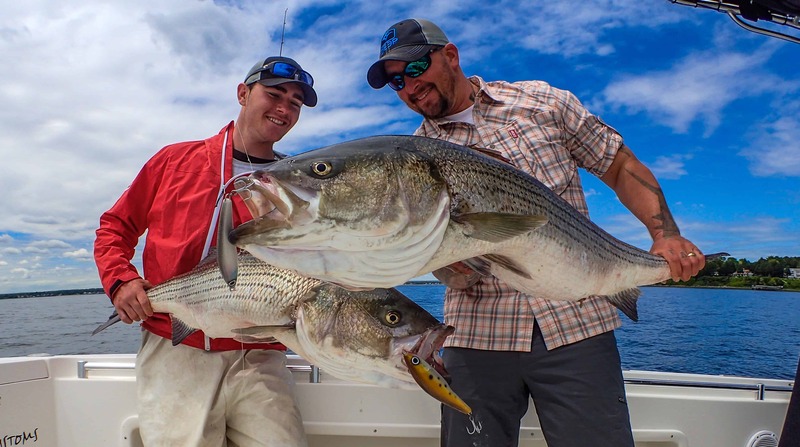 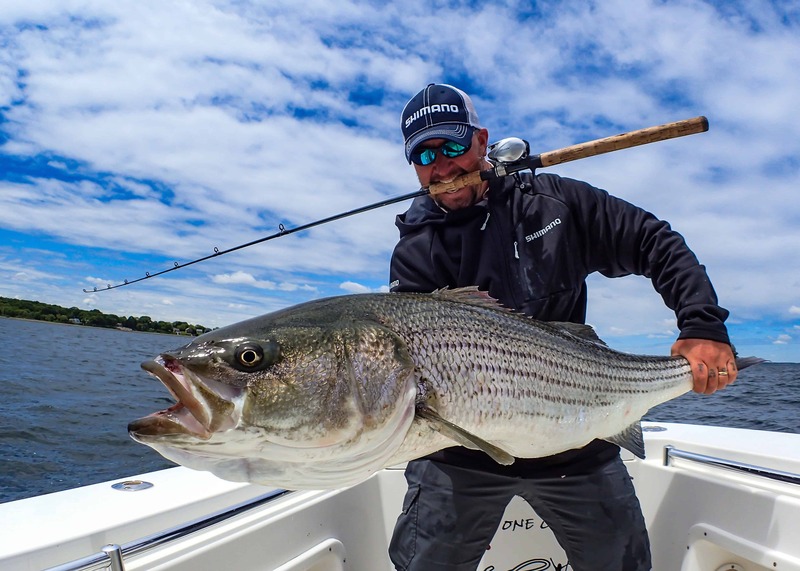 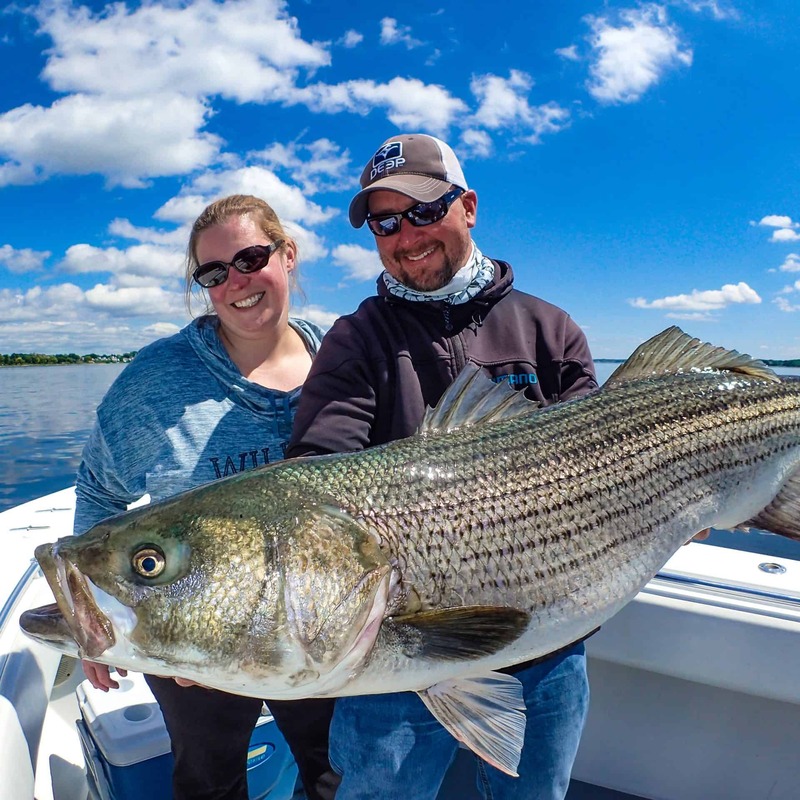 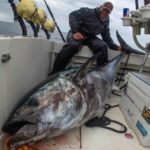 Fishing Rhode Island’s Famous Upper Narragansett Bay Spring Striped Bass Fishery. 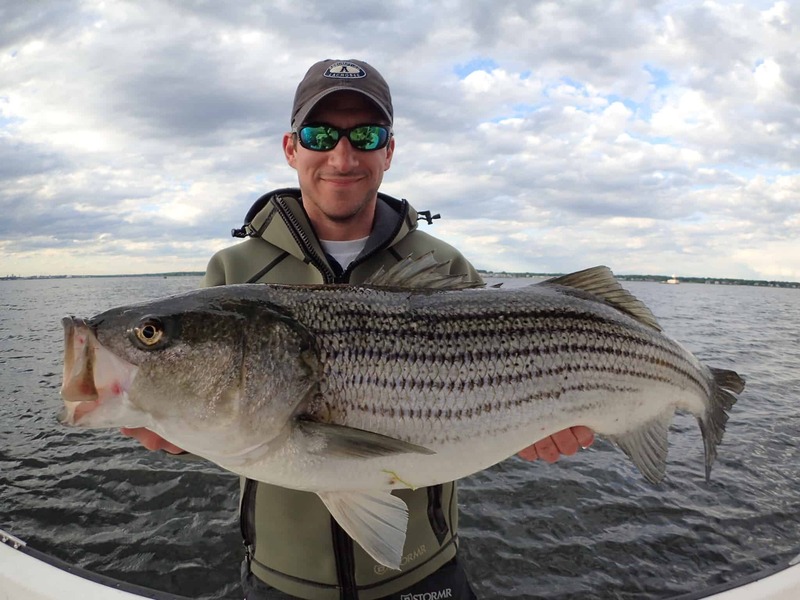 Flat Clam shallow Backwater Fishing with Striped Bass Ranging from mid teens to over 40lbs in as shallow as 6-20ft I’d water. 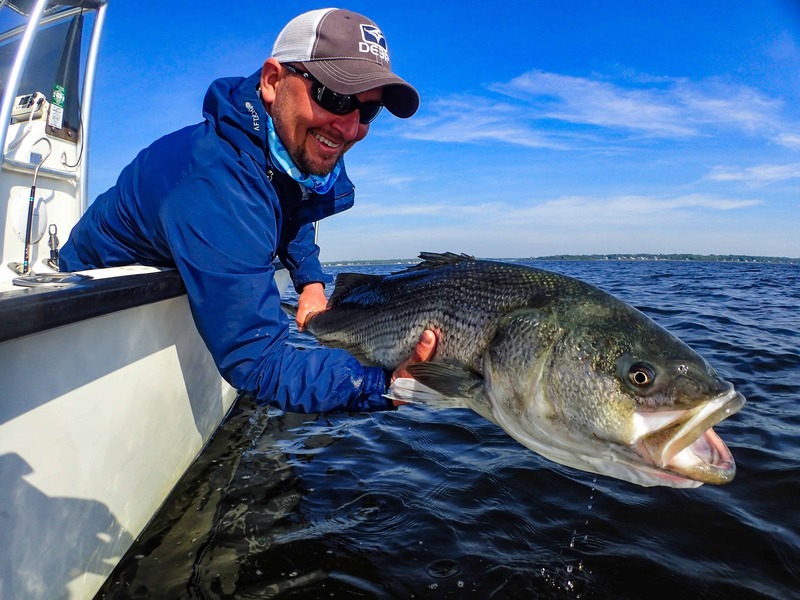 While these fish are keyed in on feeding on large natural baitfish there are also willing to hammer large topwater spook baits, it’s like largemouth fishing on steroids.